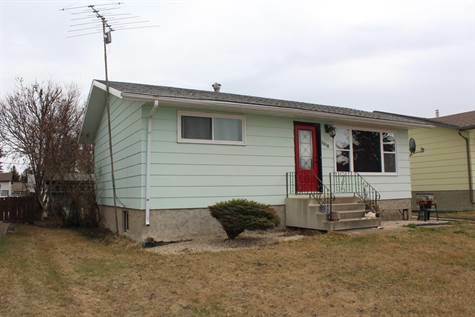 Great bungalow in the town of Mundare. This 3 bedroom home has been very well loved and updated over the years. Brand new kitchen, newer appliances, new windows and doors, furnace, hot water tank, shingles, flooring and paint. The main floor offers 2 good sized bedrooms and a 4 piece bathroom, a bright livingroom and new kitchen with lots of cabinets and counterspace. The basement is partially finished with a 3rd bedroom, laundry and family room with rough in for a bathroom. Enjoy the close proximity to Main Street where you can shop for groceries, eat in one of the wonderful restaurants, enjoy the library and quaint shops.